For the third consecutive year, Research Infosource has named Lakehead Canada’s Research University of the Year in the undergraduate university category. Dr. Brian Stevenson, Lakehead University’s President & Vice-Chancellor, said he was very pleased that his institution was able to come out on top, once more. “We’re excited that Lakehead has earned the top spot three years in a row,” he said. Research Infosource’s calculation of its Research Universities of the Year involves examining several factors, including the total amount of sponsored research funding received by Lakehead University, research intensity (total research income per faculty member), research outputs based on total number of publications, publication intensity, and publication impact. 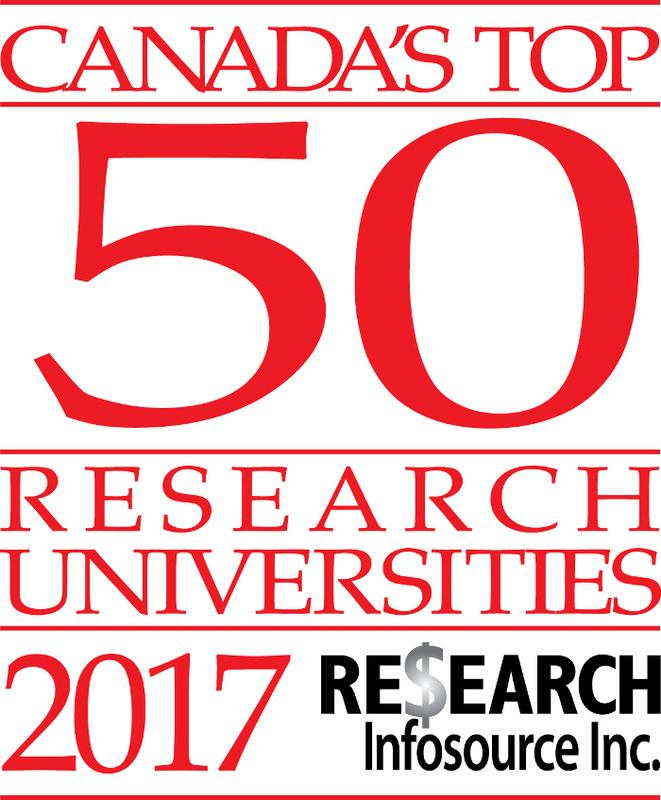 "Lakehead University is demonstrating a consistently high level of research performance among its undergraduate university peers, both in terms of research income and publication output,” said Ron Freedman, CEO of Research Infosource Inc., adding it’s impressive that Lakehead placed first for the third year in a row. Click here to visit the Research Infosource website for more information.